As for the narration, it's good, not great. And the appendix with the translations is best skipped on audio. I got the Kindle version, too, so I could highlight my favorite passages. Here the author talks you through basic and complex meditations. Unlike other books that talk about the meditations, here they are. At the end of the book the author has put a lot of meditation with each one being labeled for use when you need it. 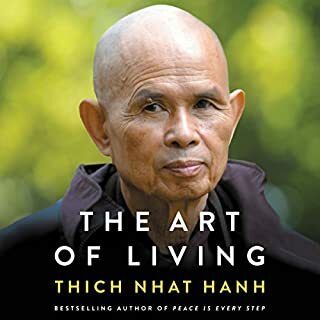 I recommend this book just for these meditations along with the wisdom contained with it. I would also recommend that the publisher include a PDF of all meditations be included or people buy the Kindle version to get them rather than searching all over the Internet for them. A series stories, illustrations, depictions of mindfulness and how to practically achieve mindfulness through meditation in our everyday life. contained the exact description of the book. 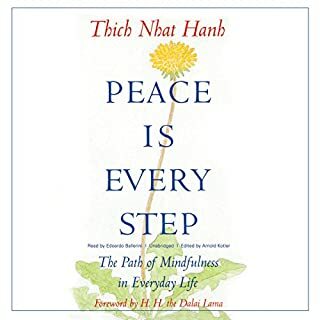 If you're looking for a an introduction book on mindfulness and meditation, this is the book look no where else. although I finished in three days because I loved the narrator, and it was easily understandable. 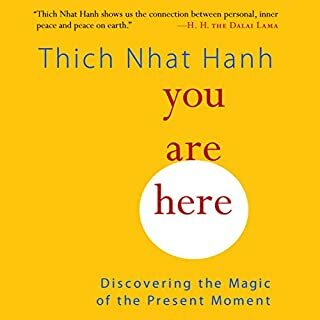 although just to add a personal breakthrough, couple of years ago I was reading Physics books I was so obsessed with Physics, Universe, matter ad the meaning behind all and the ultimate knowledge, I was experiencing a State of mind which now I realize it was not much different of mindfulness. A wonderful listen. It has taken 3 listens to hear and many more to understand what mindfulness means. Learning to breath in a mindful way? I'm still learning. Thank you for the journey. Loved most of it. Last half hour is a bit of an unecessary digression. Would buy again! 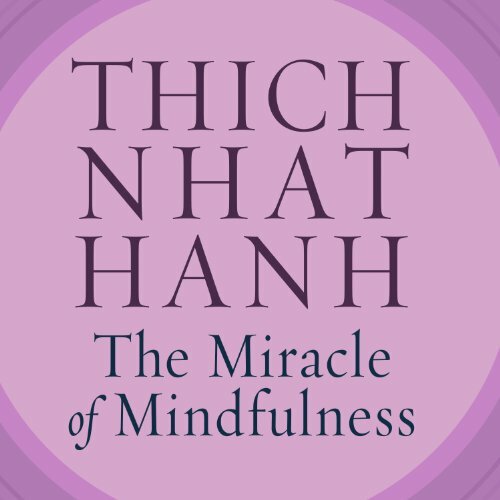 What made the experience of listening to The Miracle of Mindfulness the most enjoyable? The narration was superb. He even brought life to the parts of the book that are rather repetitive. Everything.He seemed to enjoy reading the book and that came through on the narration. Great intonation, volume, meter and phrasing. Loved the narrative throughout, although perhaps not the best narrator; a bit misaligned for the subject. Not sure if the end is part of the original text but chapter 11 where the narrator repeats every possible combination of words like, "...the monk contemplates objects within objects within internal and external blah blah blah...". Ahhhh I actually screamed out loud "shut up shut up shut up" while driving . 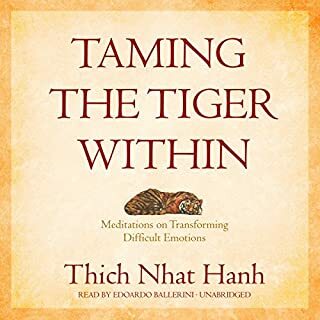 It's weird that an audiobook on mindfulness cracked my spirit. Seriously skip chapter 11 but most everything else is wonderful. 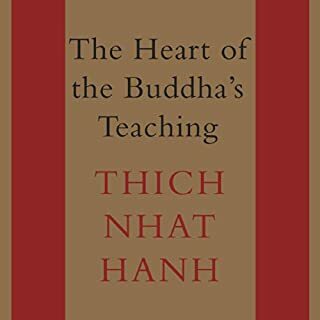 I didn't enjoy this nearly as much as later works such as Heart of the Buddha's Teaching, etc. It's understandable, as I'm sure his ability to relate to a Western audience improved over time. The sutra translations at the end have highly repetitive language (...the monk does this, is aware of it, and thus trains himself...) and are frankly exhausting to listen to. 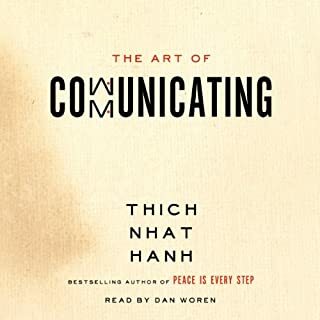 Finally, the reader sounded coldly academic, which contrasted with my memory of Nhat Hanh's warm and gentle voice. It was insightful but a bit over repetitive. most memorable were the phases of mindfulness and application. this book helped me find Clarity in my everyday chaos called life. you have to keep an open mind and if religion bothers you don't pay attention to the religious side but the practice.